Late Night Storytime with your councillors at Tawa Library! We have a very special storytime at Tawa Library on Thursday 1st March at 6pm. 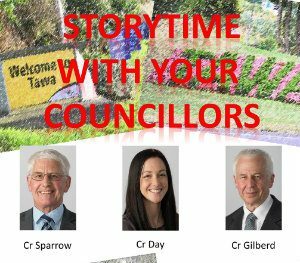 Come along to hear our local councillors – Cr Sparrow, Cr Day and Cr Gilberd who will be presenting some of their favourite stories as part of our Stories @ Six late night storytime series. You can find out about more library events on our Kids’ What’s On page, or the library Event Calendar.